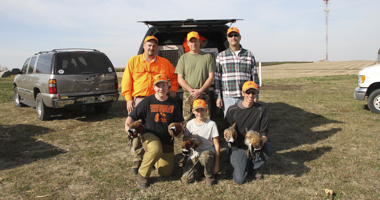 Kandiyohi County Chapter has a youth hunting experience each year..
Kandiyohi County Pheasants Forever supports 5 youth High School Clay Target League teams. We also hold Youth Trap day on the first weekend in August each year. 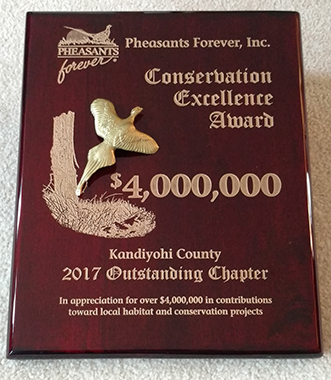 Kandiyohi County Pheasants Forever Chapter #2 was awarded the 5 Million dollar plaque in January 2018 for habitat dollars raised. 2018 Kandiyohi County was awarded the $5 Million Dollar plaque for Habitat dollars spent in the county. Kandiyohi County was awarded the $4 Million dollar plaque for Habitat dollars spent in the county. 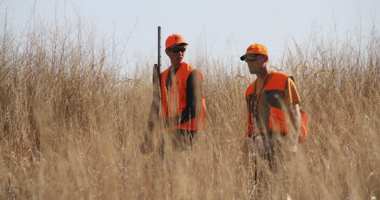 The parent organization of Pheasants Forever, founded in April 1982, is an organization of Conservationists and Sportsmen. It's single goal is to protect, preserve and develop Pheasants and Pheasant habitat. To that end, Pheasants Forever in 1982 selected as its first project the establishment of a State Pheasant Stamp and Restoration Program. 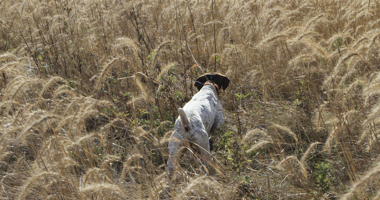 Without such a program, efforts to breathe life into Minnesota's Pheasant population would be greatly inhibited. 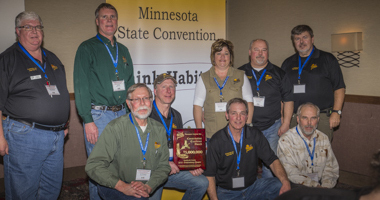 With the help of concerned Legislators and Sportsmen, the Minnesota Department of Natural Resources and Wildlife organizations such as the Minnesota Conservation Federation, The Izaak Walton League, MAFLAS and others, Pheasants Forever has now achieved its initial goal. 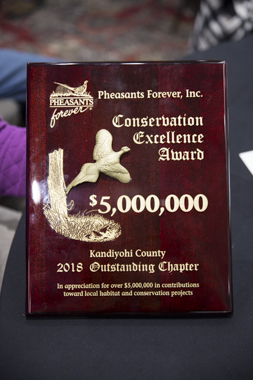 The members of the Kandiyohi County chapter of Pheasants Forever can take pride in the accomplishment of giving the organization its first toehold in out-state Minnesota. In 2017 KCPF was awarded a plaque for over Four Million Dollars in habitat contracts. The Kandiyohi County chapter held the first out-state Banquet in April 1983. Thanks to the outstanding local support, the banquet was so successful that the parent organization used our chapter as a prototype for establishing chapters throughout the Minnesota Pheasant range. Copyright 2018 Kandiyohi County Pheasants Forever Chapter #2. All Rights Reserved.